The continuation of the last comic! 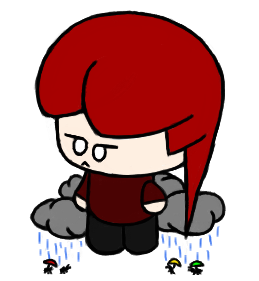 Knight may have bad luck in the form of rocks falling from the sky, but she’s also good at dodging. It’s amazing how one little thing can trip you up. Anyways, this is a text-heavy comic. Odd. For someone who doesn’t speak (except for “Aba”), Pirate sure likes to talk! …What? It makes sense to me. I don’t really know why some people can’t swim. Pirate for example is like a fish in the water, except without the gills, scales, and with a lot more red hair. But Knight? Knight wears armor. 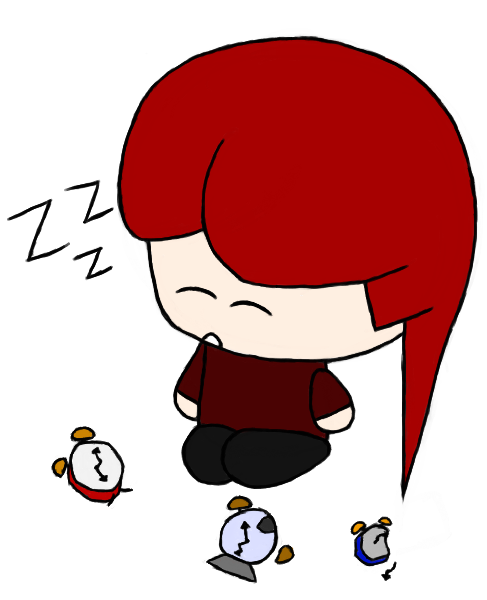 This is the last post about sleeping for a while, I promise! At any rate, I want this switch. Back on the topic of sleep: alarm clocks. Put them near me or Pirate and this is what happens. Some days you hit the wall. Those are bad days, when you’re tired, and low on energy. Some days the walls hit you. That’s when you know you’re in trouble. We know so little about Knight, so it’s time to reveal more! 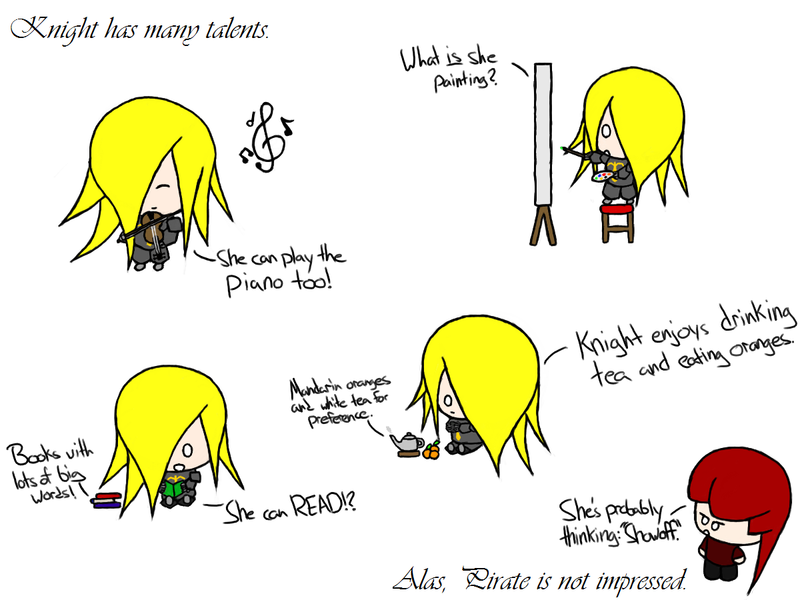 Knight is multi-talented and quite smart — it’s just too bad someone doesn’t appreciate all of her skills! PS: …And yes, she is a bit of a show-off. Who says swords aren’t multi-purpose? Well, let’s be honest: Pirate’s sword is more like a meat cleaver. 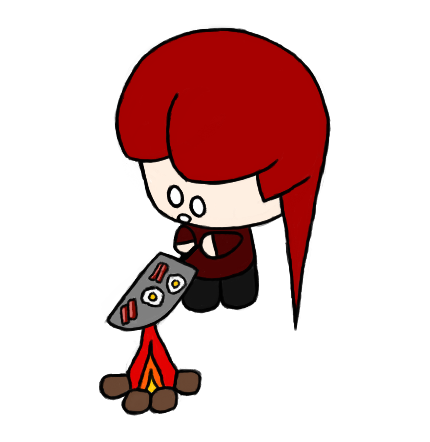 It isn’t even very sharp!